Actress. Comedian. Writer. Singer. 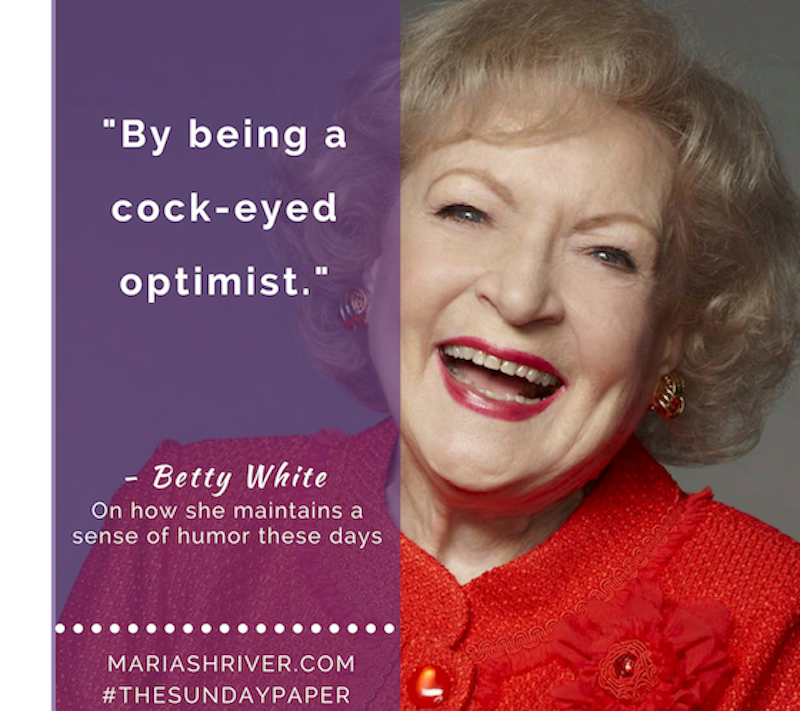 At 95, Architect of Change Betty White remains one of Hollywood’s most beloved stars. 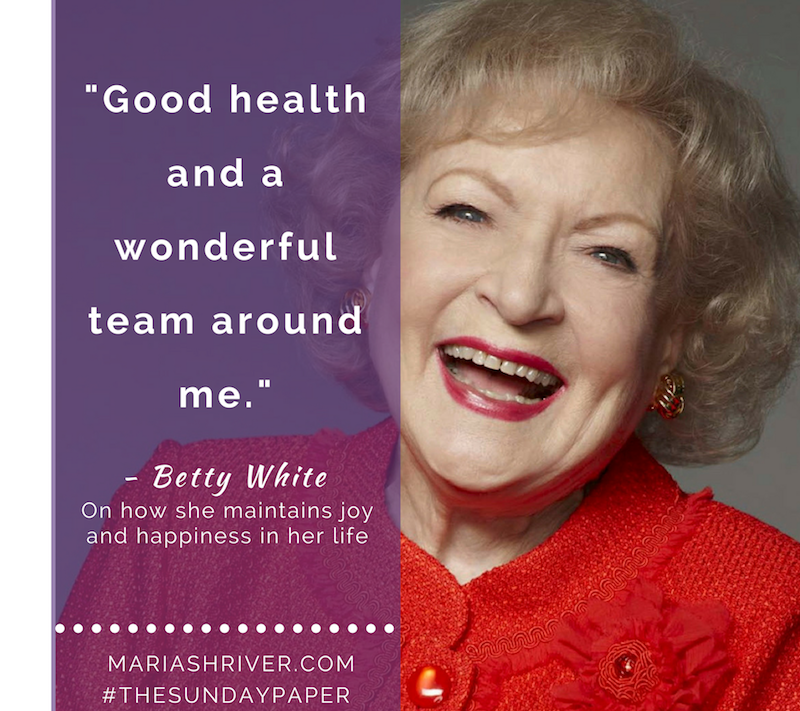 Today, she exclusively shares a few quick thoughts on how she’s maintained joy and a good sense of humor over the decades. 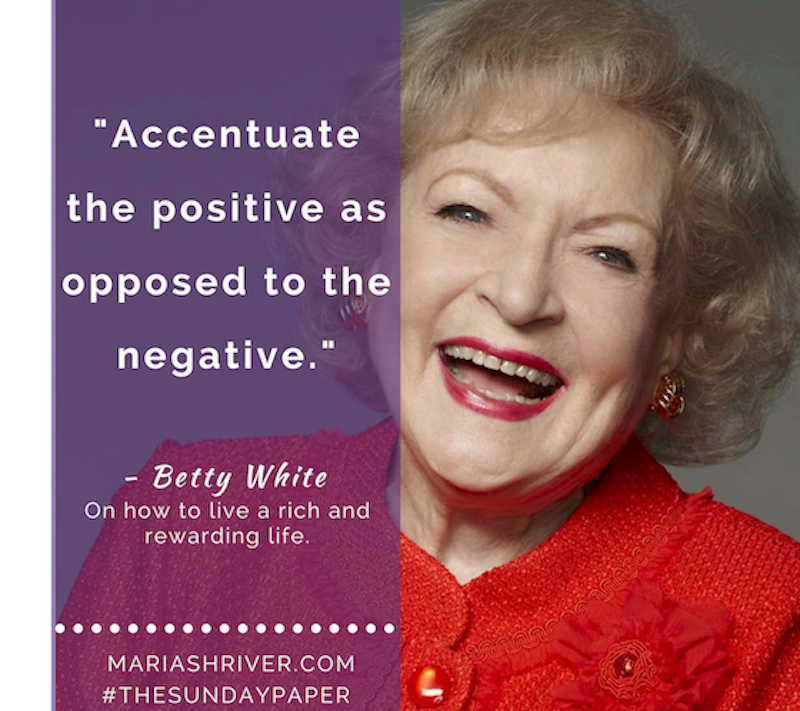 To receive content like this in your inbox, sign up for Maria’s Sunday Paper newsletter below.